When Concetta Lanza was diagnosed in March with breast cancer, resulting in a double mastectomy the following month, she took minimal time away from work. Before long, she returned to teaching at Webutuck Elementary School. But, never did she mention her condition to the team. In Lanza’s estimation, her battle is being fought and the focus there — as it is at work — should be on the kids. 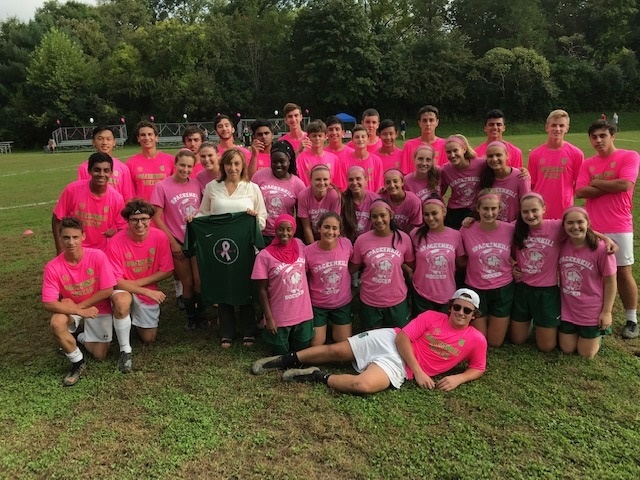 So when the players presented her a customized jersey on Monday, and announced before a rapt audience that its game would be dedicated to her, she was surprised and overcome with emotion. 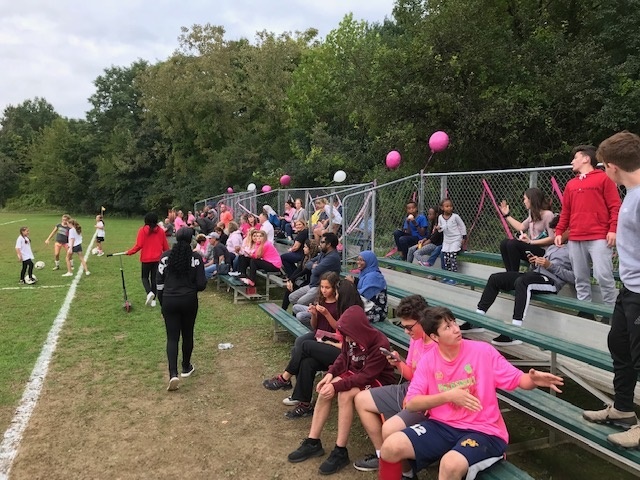 The team had decorated its field with balloons and banners, had organized a tent to conduct a bake sale, and brought enough relatives and classmates there to fill the bleachers. Concetta Lanza had assumed the pomp and circumstance was for the Spartans’ Senior Day celebration. 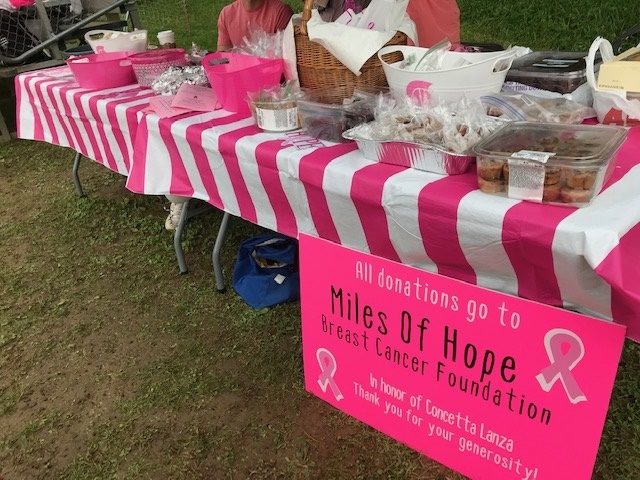 It also was Oct. 1, the start of Breast Cancer Awareness Month, during which several local athletic programs typically host charity fundraisers. The Spartans made $405 on the first day and will continue to promote it, including during the boys soccer team’s matches. 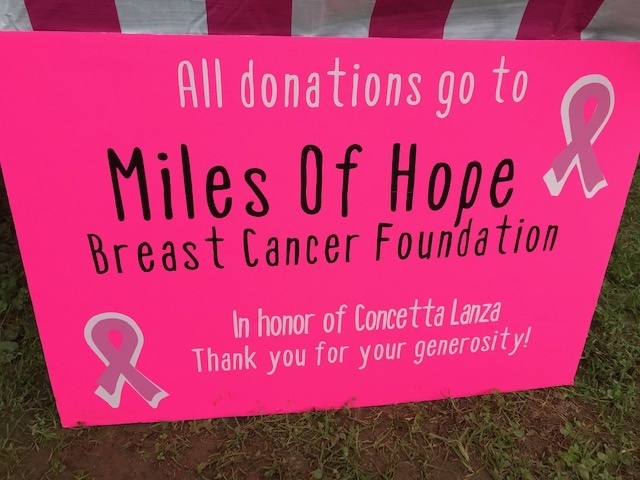 The group estimates they can raise more than $1,000 to be donated to the Miles of Hope Breast Cancer Foundation. So the players, led by senior Kaitlyn Kilpert, began organizing this event in secret last month. Each of them baked pastries for the sale, spread the word to friends to attend and donate, and even purchased alternate soccer jerseys for themselves. The new duds were in accordance with Section 9 uniform rules, but with pink lettering and logos to signify breast cancer awareness. The boys soccer team did likewise. In fact, the coach wasn’t informed until last week, when the players wanted assurance that his wife would attend the game on Monday. 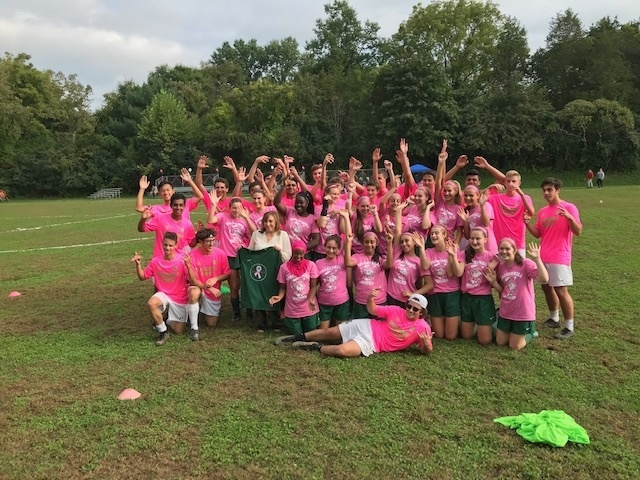 The jersey presented to Concetta Lanza was in the team’s signature green, with a pink ribbon in the center encircled by a ring of the players’ names. Mike Lanza said his wife is doing well and “isn’t undergoing chemo now or anything,” although there are continuous follow-up examinations. He and his family have lived in the Spackenkill area for 27 years and his wife once was an elementary school teacher’s assistant in the district. Some of the players remember her in the classroom when they were in the fourth and fifth grade. They’re not too bad at soccer, either. 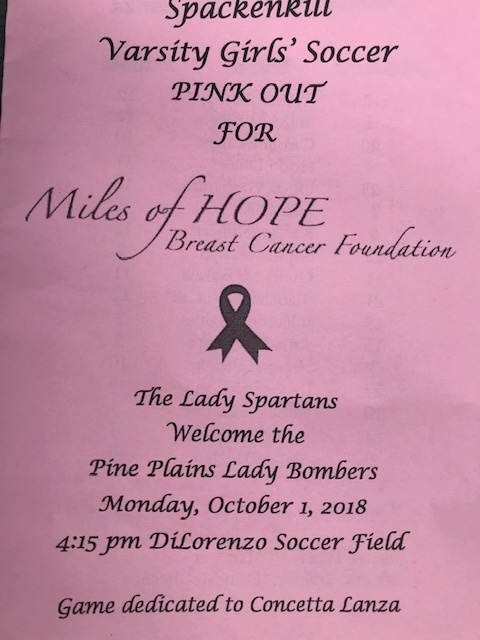 Kilpert scored four goals, including three in the first half, to lead the Spartans in a 6-0 win over Pine Plains on Monday. McCall switched from goalkeeper to midfield after intermission and she scored a second-half goal, along with freshman Madison Updike.